It has been a year to remember – whoa! There have been many global challenges for all humanity this year, but also such opportunity for growth and sharing. There is hope and LIGHT! Perhaps we are trying to absorb & process the real human experiences of life, death, loss and love while also maintaining the wild pace of life and expectations. I feel that more than ever we can become overwhelmed with media, but also more connected because of it. Thank you for being a part of my studio practice and career and friendship! My artworks are meant to “Bring More Light & Beauty to the World” and I think more sparkle is needed now more than ever. At my studio, 2017 allowed for so many celebrations and new creative projects that I could not have expected. 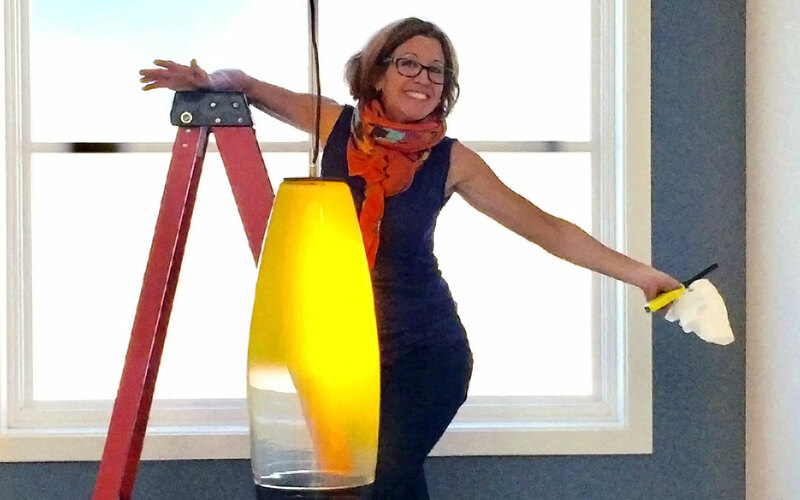 Much gratitude for all of my collaborators who granted me the opportunities to become the Feature Artist of GlassFest in Corning, NY; create design awards for prominent design fair, IDS Vancouver presented by Gray Magazine; design and fabricate several lighting collections for private homes & clients, and to become the Resident Visiting Artist at Motif Seattle, a boutique hotel in our city. Alongside these incredible creative endeavors, I have had to overcome my own loss of dear loved ones, and heal from personal injuries that threatened my ability to create my work, and to try and just navigate the human condition. It has been a year of challenge for solving new creative solutions as well as one to overcome limitations. A big thanks for all my team and dear friends and family who have helped my work flourish through out the highs and lows of this thing called LIFE! Making art creates community of my extended family of local makers, industry talents, vendors, collectors and clients. I love how my studio practice has made the opportunity for all of us to connect! I would love to hear from you please get in touch with your latest.